Let’s cut right to the chase, shall we? Full screen this bad boy and enjoy the ride. And now, for your regularly scheduled reaction. 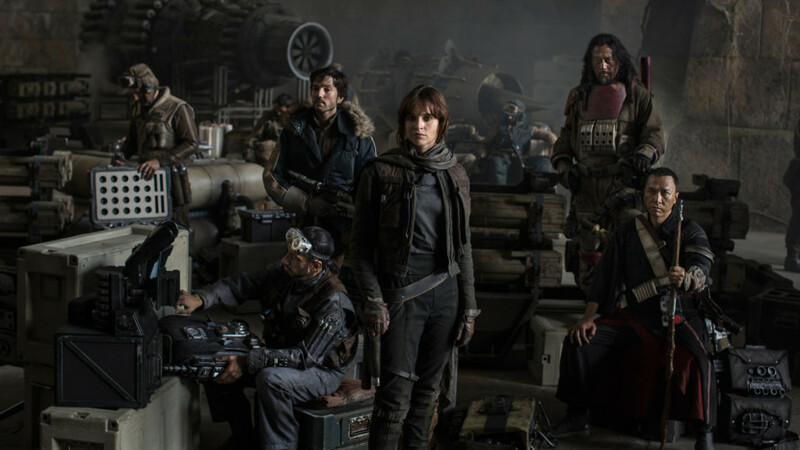 If you weren’t watching the Olympics, or if you just happen to log onto the internet and IMMEDIATELY browse over to Wicked Good Gaming (as you should), you may have missed the Rogue One trailer above. To be completely honest, that gif up there sums it up for me. I’m loving that we’re seeing the Rebellion scrape together convicts and low-lifes, and it’s cool seeing mystic Force-user types like that guy with the bo-staff. Forrest Whitaker’s character looks incredibly badass as well, and sounds like a sage-type character who maybe mentors Jyn Oso? Or maybe not, maybe they’re just cellmates in prison before the movie even starts. I’m also digging the martial arts influences here. It looks like we’re going to see a lot of different fighting styles and improvised weapons aside from just lightsabers and blasters, which goes right along with the grittier atmosphere of the whole movie. The Rebellion is clawing at the ever-tightening grip of the Empire, and this new trailer absolutely illustrates the desperation and passion of the Rebel soldiers. P.S. – Whoever this awesome new droid is, HK-47 is going to be PISSED that he’s stealing his shtick.